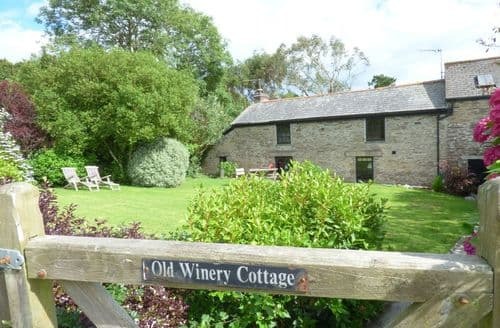 What our customers are saying about our Holiday Cottages In St. Sampson To Rent. "Whilst I appreciate that you want to promote your holiday cottages and describe them in as flattering a way as possible, I felt that describing its interior as 'wow factor', 'elegant' and 'shabby chic' was rather over-egging the pudding! It's a perfectly comfortable house but its decor and furnishings are really just very 'average' - not luxurious or particularly stylish. This description then set us up for a slight disappointment on arrival as the interior furnishings were not as high-quality as expected. We didn't spend any time sitting outdoors on the seating area but I would say that the terrace of houses (of which S82429 is part) is a little scruffy on the outside (not the fault of S82429!). The house is also, in my opinion, following on from above, rather over-priced. 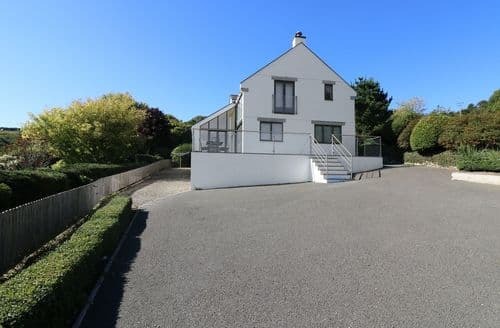 We have stayed in bigger, more substantial houses in Cornwall with very high quality interiors and furnishings, which have been not much more expensive to rent for a week than S82429. Without a doubt, the best feature of the house is its location which is lovely and peaceful. The views are beautiful. We also very much appreciated the cake and bottles of wine which were left for us on arrival. 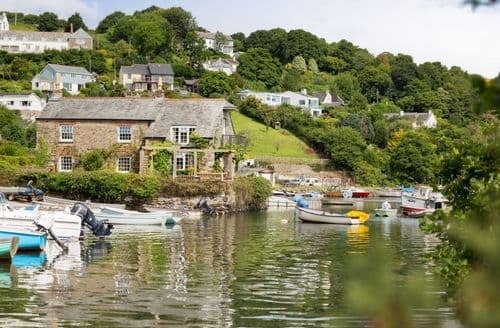 I am conscious of the fact that most of this review may seem rather negative - really they are small quibbles as we actually enjoyed our stay at the house overall and had a brilliant holiday as usual in Cornwall. 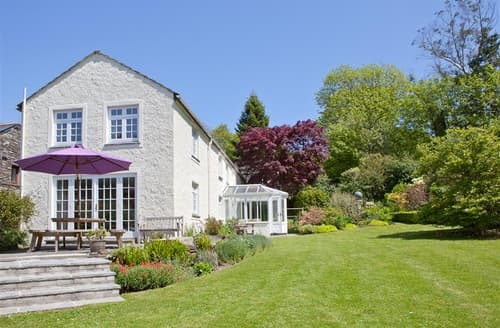 We wouldn't book this house again mainly because we'd like to stay in different parts of Cornwall on future holidays." "S83977 is beautiful, very peaceful & relaxing.The bedrooms were very nice, the upstairs area was quite basic but functional. We had a few minor issues which Terry and Sarah sorted immediately which was great. 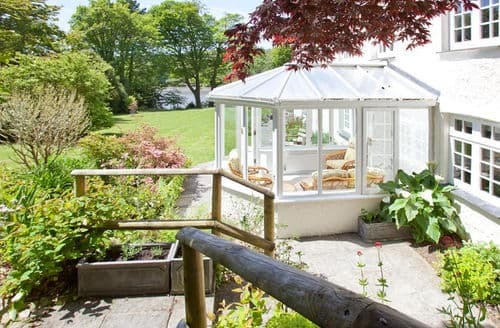 My only grumble is that the cottage is advertised as having an enclosed garden, and in fact it had post and rail fencing and a big gap under the gate which meant that our dogs could just get straight through. We did have a nice time but we would not have booked it if we'd known as its hard to relax when you have to keep an eye on the dogs all the time. In future I would definitely check this with any owners before booking. Other than that though it was a nice place to stay.The cottage was lovely, the setting was beautiful and peaceful. Good parking facilities. Easy access to all the places we wanted to visit. Sarah-Jane and Terry were very welcoming and friendly and were happy to answer any questions we had about the cottage and places to visit. The cottage was clean and spacious. Our party was 4 adults and 2 dogs and there was plenty of room. There is a good sized garden with chairs and table and the use of the meadow beyond was lovely for an early morning or evening stroll with the dogs. There was a welcoming couple of bottles of Fowey cider. And a lovely touch was the jar of dog treats and a tag for a dog’s collar giving the name and phone number of the cottages. We had a wonderful 2 weeks. Thank you Sarah-Jane and Terry. We will be back." "The bedrooms were very nice, the upstairs area was quite basic but functional. We had a few minor issues which Terry and Sarah sorted immediately which was great. 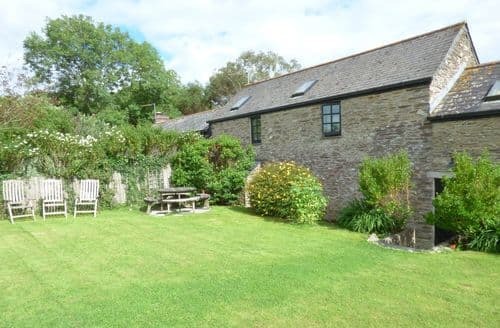 My only grumble is that the cottage is advertised as having an enclosed garden, and in fact it had post and rail fencing and a big gap under the gate which meant that our dogs could just get straight through. We did have a nice time but we would not have booked it if we'd known as its hard to relax when you have to keep an eye on the dogs all the time. In future I would definitely check this with any owners before booking. Other than that though it was a nice place to stay.The cottage was lovely, the setting was beautiful and peaceful. Good parking facilities. Easy access to all the places we wanted to visit. Sarah-Jane and Terry were very welcoming and friendly and were happy to answer any questions we had about the cottage and places to visit. The cottage was clean and spacious. Our party was 4 adults and 2 dogs and there was plenty of room. There is a good sized garden with chairs and table and the use of the meadow beyond was lovely for an early morning or evening stroll with the dogs. There was a welcoming couple of bottles of Fowey cider. And a lovely touch was the jar of dog treats and a tag for a dog’s collar giving the name and phone number of the cottages. We had a wonderful 2 weeks. Thank you Sarah-Jane and Terry. We will be back." "It's a perfectly comfortable house but its decor and furnishings are really just very 'average' - not luxurious or particularly stylish. This description then set us up for a slight disappointment on arrival as the interior furnishings were not as high-quality as expected. We didn't spend any time sitting outdoors on the seating area but I would say that the terrace of houses (of which S82429 is part) is a little scruffy on the outside (not the fault of S82429!). The house is also, in my opinion, following on from above, rather over-priced. 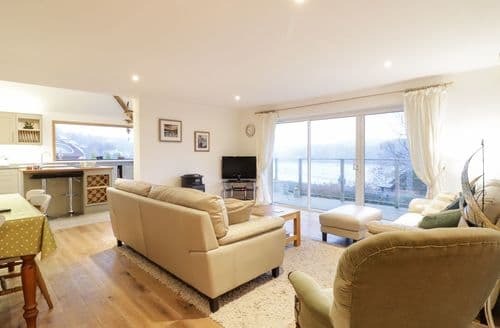 We have stayed in bigger, more substantial houses in Cornwall with very high quality interiors and furnishings, which have been not much more expensive to rent for a week than S82429. Without a doubt, the best feature of the house is its location which is lovely and peaceful. The views are beautiful. We also very much appreciated the cake and bottles of wine which were left for us on arrival. 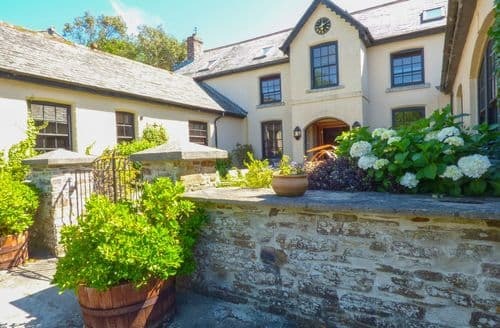 I am conscious of the fact that most of this review may seem rather negative - really they are small quibbles as we actually enjoyed our stay at the house overall and had a brilliant holiday as usual in Cornwall. 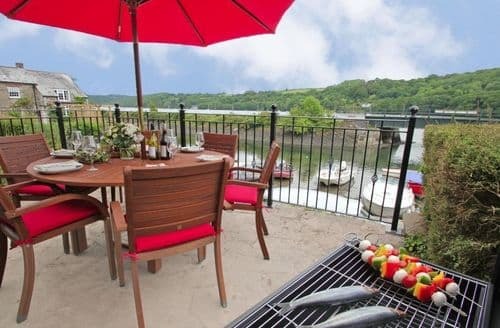 We wouldn't book this house again mainly because we'd like to stay in different parts of Cornwall on future holidays."